You are cordially invited to the exhibition opening “Augmented City” by Norbert Delman on 10.11 (Thursday) at 7 pm. 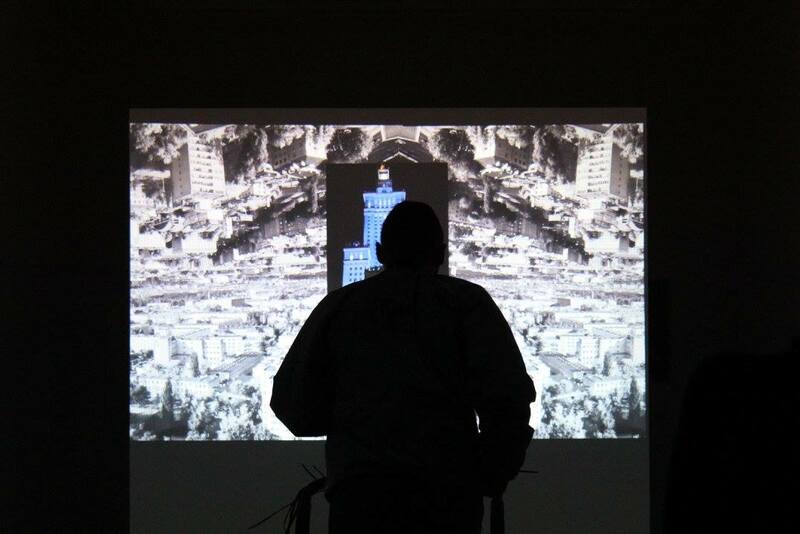 “Augmented city” is a final exhibition in our residency program by a Polish artist Norbert Delman, organized by Berlinerpool arts network and Fundacja Badań Przestrzeni Publicznej TU. It is the final project of the bilateral residential program WRSW|BRLN 2016. The exhibition is a guided tour through Warsaw based on a physical run through virtual reality mediated by projected recordings. The key element is the dynamic form of depicting the city from first-person perspective. 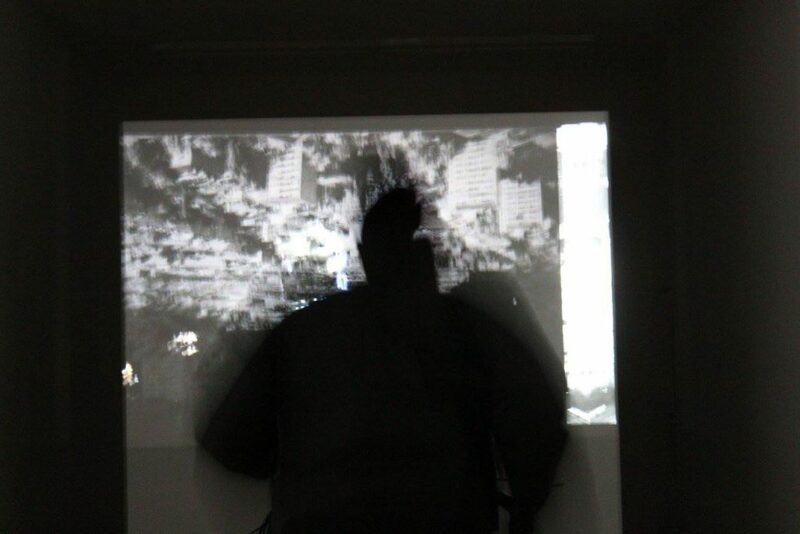 The artist moves on a track connected to a computer mouse’s scroll. Depending on the speed of the run, the presentation will get a different pace. The artist controls the intensity of sightseeing: he can speed up the tempo, slow down or stop it to take a breath. It shows the connection between body and virtual reality. Apart from the bodily effort, Delman is also constantly responding to a projected topography of the city, which can demand a strong and more direct or distant reaction from the public. The tour takes around 30 minutes. During this time Delman will show Warsaw only from his personal point of view since he chooses subjectively meaningful elements of the composition. It is the point of view of a person born in Warsaw. The personal perspective recalls his childhood, block of flats’ adolescence and functioning in the post-communist country after ‘89. The augmented city is a couple of kilometers of virtual, emotional composition about Warsaw. The exhibition is not pretending to be a narrative tour. Instead, it is an attempt to show tensions and problems. That is present in the experience of citizens of this city and country. The event will take place at NON Berlin (Chausseestr. 11 / Entrance Tiekstr.1a, Berlin-Mitte). The augmented city is on view until 19.11.2016 between 2pm-7pm and the opening event in November, 10th 2016. Free entry. You are also welcome to join us on your project proposal during Art Spaces Swap, a conversational event concerning exchange possibilities between independent art spaces in Warsaw and Berlin, on 17.11 (Thursday) at 7 pm.